When I look at the most successful companies I work with, I notice similar trends. A twelve-month buyer file that is growing. Annual retention rates that are not necessarily increasing or decreasing. New customer counts that increase at healthy rates, year-over-year. A diversity of sources for new customers, no one source accounts for a disproportionate number of new customers. Profit per New Customer, on average, tends to improve over time, enabling the business to expand new customer acquisition activities. 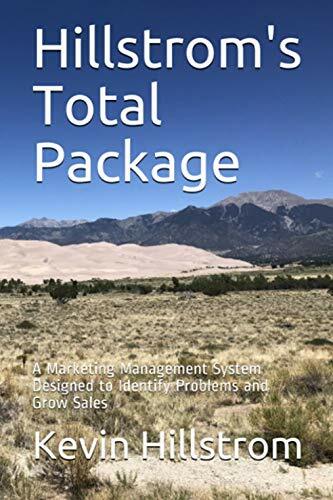 Catalog Marketers offer Prospect Catalogs, smaller page counts with best-selling merchandise, enabling the business to significantly improve productivity and increase profit per new customer. Focus is on customers, not channels. The goal is to find inexpensive ways to acquire new customers. If newspaper ads work best, the business doesn't care, it simply expands into newspaper ads. Magazines, radio, television, billboards, search, whatever the channel, the business doesn't care, it simply seeks to find new customers. A "variable budget". In other words, the Finance Department allows the marketing team to spend infinite dollars, as long as profit per new customer meets a pre-established threshold. Twelve Month Payback: Most successful businesses are willing to lose money on customer acquisition, at an incremental level, as long as the customer pays back over a twelve-month period of time. Customer Age: Successful businesses tend to acquire younger customers, so that the average age of the customer does not age near the rate of time (i.e. each year that passes is matched with a customer file that is one year older). Full Price Purchases: Successful businesses, unless discounts/promotions/pricing are part of the company ethos, tend to acquire customers who purchase at full price. Purchases at full price guarantee that profit will be generated on the transaction. Businesses that are set up for success tend to exhibit many of these characteristics. For 2012, set up a series of objectives based on these traits. Inspire your organization to significantly increase the overall productivity and performance of customer acquisition activities. After you experience success in 2012, get ready to enjoy sales increases that happen in 2013 because of the hard work you execute during 2012. "smaller page counts with best-selling merchandise"
Kevin we are looking at our book catalogue titles and are doing the research to see if best-sellers are the most profitable titles to include over time. Would you call this a general rule? Other options include: all new titles, themes or catagories of titles or mixes of the above. You know your business the best. First, you look at what new customers purchase, vs. what best customers purchase. Is there a difference? If there is a difference, then you merchandise the catalog based on customer preference. If there isn't a difference, you go with the merchandise that is most productive (best sellers) ... the most productive merchandise yields high response, high response means you can circulate deeper, deeper circulation yields more new customers. Thanks Kevin. We'll run these numbers and see if we can find the optimal catalogue arrangement.